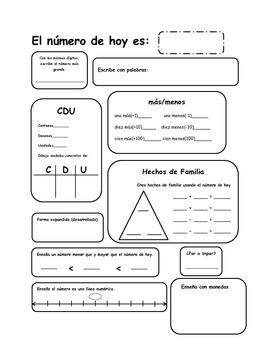 This is a great resource for students to manipulate a number. Students will grasp a better concept of number sense when they are able to write it, manipulate place value, fact families, greater than, less than, number lines and money. You may use this daily or weekly.